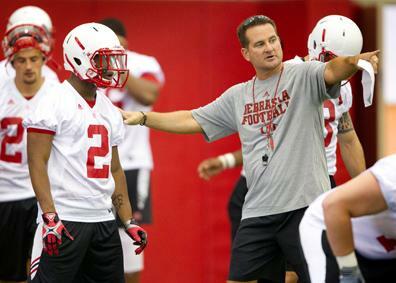 Tim Beck replaced Shawn Watson as offensive coordinator in the off-season after the Husker offense’s production seemingly fell off of a cliff in the second half of the previous two seasons. Saturday night against Wisconsin in Nebraska’s long anticipated debut in the Big Ten Beck seemed to fall into the same trap Watson did: abandoning their ground attack and relying on Martinez’s arm. With Watson it seemed that he tended to fall back into his West Coast Offensive roots when things would go awry. With Beck, to be fair, it’s still too early to tell. It seemed that when he took over for Watson it was because Pelini wanted an offense truly oriented around The Power Spread which Watson was not producing. So why Beck part way through Saturday night’s game dialed up pass after pass, without even much play-action, is a mystery. What is encouraging though is that Beck knows Nebraska is a spread-to-run team and they will have to get back to that. 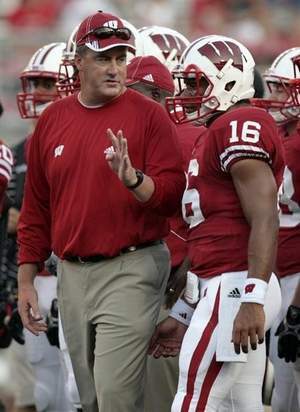 2011 is something of an experiment for the Badgers: give offensive coordinator Paul Chryst a qb that can run but yet who possesses all of the same qualities as any of Wisconsin’s previous steady pocket-passer types, along with their gargantuan offensive line and stable of bruising running backs and you have one scary offense. For Paul Chryst landing Russell Wilson might turn out to be on parallel to what Cam Newton was for Gus Malzahn. Both Chryst and Malzahn are excellent coaches with great schemes, but those players were like gifting them video game-like athletes capable of seemingly anything. While it’s well documented that Bielema likes Wisconsin to have a smash-mouth offense, what doesn’t get enough attention is the subtle mis-directional cues that Chryst throws at opposing defenses. Against Ohio State last year it was variation of Jet Sweeps pump fakes to wide receivers in the flats which kept the Buckeye defense on their heels. In the past Chryst has also been one to catch defenses off-guard by using the Naked Bootleg, with Russell Wilson this is more lethal for Chryst than ever before. Despite whatever Bret Bielema says about his team’s offense, which seems to only discredit the ingeniousness of his offensive coordinator, there’s much more to it than just three yards and a cloud of dust.